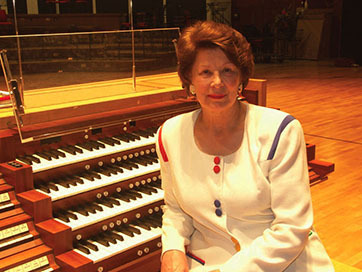 Young organists at Birmingham City University’s Royal Birmingham Conservatoire are being given the opportunity to compete for a new prize donated by one of the world’s foremost musicians – Dame Gillian Weir. 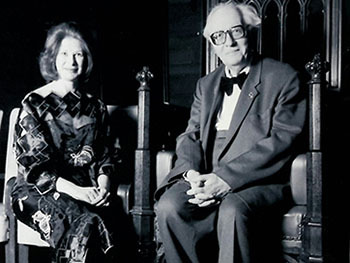 The Gillian Weir Messiaen Prize will be awarded annually for the next 10 years for the best performance by a student at the institution of a work or works by French composer Olivier Messiaen. During her illustrious international career, Dame Gillian has been particularly renowned for her performances of Messiaen’s organ music; she made the first commercial recording of the complete works, gave the UK première from the composer's manuscript of the ‘Méditations sur le Mystère de la Sainte Trinité’, and has written, lectured and broadcast extensively on his music. Concerning the gift, she spoke of her admiration of the work being done in the Conservatoire’s Organ Department and congratulated them on their glowing international reputation. The award was facilitated by Conservatoire organ tutor Henry Fairs, whose own career has also included complete performances of the composer’s music. All of us in the Organ Department are honoured and delighted that Dame Gillian should aid our students in such a generous and palpable way. Many young musicians are in need of every conceivable financial assistance, and this prestigious prize will be much coveted and appreciated for years to come in the Royal Birmingham Conservatoire. The first Gillian Weir Messiaen Prize competition will take place at the Royal Birmingham Conservatoire later this year, with the winner awarded £1,000.